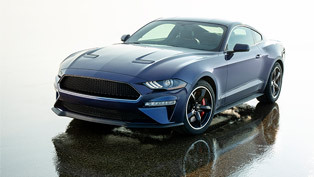 Ford will, for the first time ever, ship one of their most powerful Mustangs ever outside of the US. 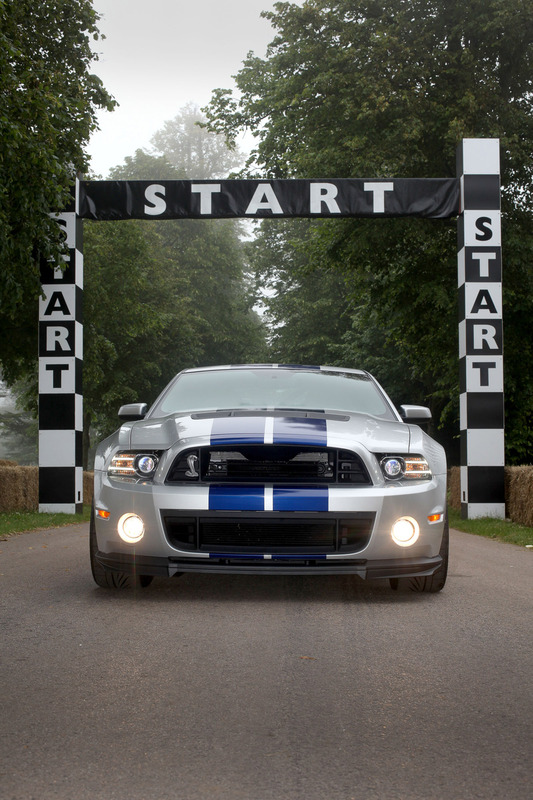 The occasion is the Goodwood festival which will be held this weekend. 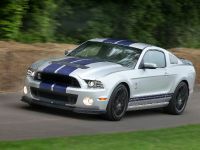 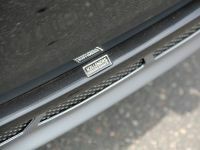 More importantly however, the latest Shelby GT500 will serve as a fitting tribute to the now deceased Carroll Shelby. 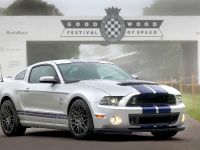 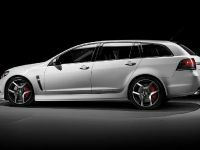 The "pony" is to participate in the famous Goodwood hillclimb with guest drivers behind the wheel. 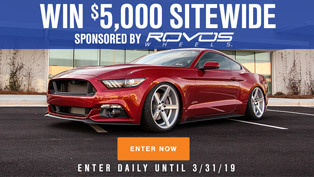 They'll have to keep in mind that the 2013 Ford Shelby GT500 has an aluminum 5.8-liter supercharged V8 engine that produces 662 hp and 631 lb-ft of torque. 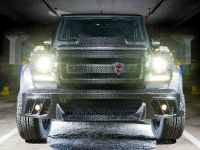 In other words – the most powerful North American production car yet. 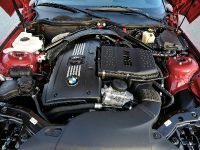 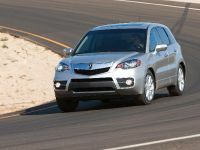 It sounds rudimentary, but the features that put control on that power are abundant as well – updated gearing for superior traction management, suspension tuning and a clever launch control that can be adjusted manually as well. 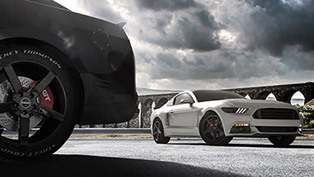 Then there's the brute counter force: Brembo six-piston (front) calipers. 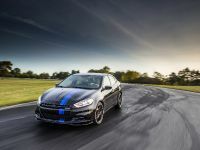 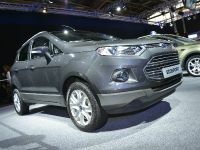 This particular one will also be stuck with the otherwise optional Performance Package which adds electronically adjustable dampers and a Torsen limited-slip differential and then a Track Package that integrates three additional coolers to the system. 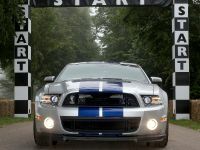 A worthy commemoration of Carroll Shelby. 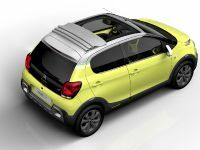 Distinctive outside features include, downforce-friendly front grilles, a pointy splitter, a new quad-exhaust system and new forged-aluminium wheels. 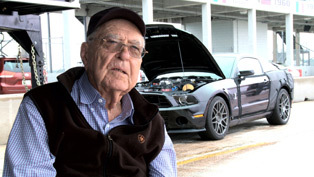 Carroll Shelby passed on May the 10th 2012, leaving behind an engineering legacy, 16 US and international world speed records and a number of charity deeds. One of his most famous works – the Cobra – still sends shivers through the spines of motoring enthusiasts. 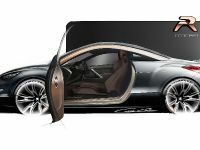 In 2003 he began his joint venture with Ford which resulted in the making of the Mustang Shelby GT series.